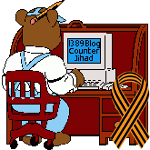 Why Conservatives Need to Geek-Up (Part 1) — 1389 Blog - Counterjihad! If you are not a liberal when you’re 25 you have no heart, and if you’re not a conservative when you’re 45, you have no brain. This saying, sometimes credited to Winston Churchill, seems to hold a bit of universal truth, as does the notion that the young people of a generation affect change, while the older folks lend stability. This certainly seems to be the case when it comes to politics online in the 21st century (allowing, of course, for exceptions such as the Young Republicans clubs and the die-hard hippies). Web 2.0 technology affects our lives online in the form of blogs, online citizen journalism sites (social news), wiki’s, folksonomies, social networking sites, collaborative bookmarking sites, podcasts, aggregators (e.g. RSS), semantic web, collaborative software, and other online scenarios in which users create and share content such as graphics, news, informatio n, technology, creative writing, software, photos, and videos. The original World Wide Web gave us the opportunity to share information by posting what we had to say, and by reading what others had to say. Web 2.0 takes that concept to the next level, by giving users the opportunity to collectively influence what information is available and how the information is distributed. Today’s twenty-somethings grew up online, and generally seem to be more intuitively tech-savvy and more comfortable with online collaboration than those of us that are older (“older,” in this case meaning anyone over 35!). It is no wonder, then, that there is a noticeable liberal/progressive majority in the politics discussions of any of the social networking sites, which extensively utilize the newest technologies and the art of collaboration. Largely due to Web 2.0 technology as well as increasingly interactive search engines, there is a growing body of knowledge online that is taking on a life of its own, and it is very influential. Features such as Google PageRank assure that the majority view of any issue is likely to be the first available information on any given topic. Anyone interested in the accuracy of the information that is being disseminated online, needs to have a voice in this increasingly important global discussion. As conservatives, we need to understand and utilize Web 2.0 technology if we want this body of knowledge to even partially reflect our values, attitudes, respect for history, and vision for the future. Great post. I was first introduced to computeres in 1976 – IBM 360’s. Before leaving college I had my hands on some of the early PC’s – Apples and then TRS 80’s. I fought the technology revolution for years because I felt the tools were inadequate. I was introduced to blogging in Feb. of this year. I love it. Even us “old dogs” (29 and holding for 20 years) can learn new tricks when we see their value.